Presentation/talk by guest artist, Aaron Dilloway. Snacks will be provided after. Group car trip to listen to Drive to the Edge by Ralph Lewis, broadcast through WXTJ. After the keynote, we’ll meet a shuttle out on Ruppel Drive (next to Wilson Hall). Learn to build a hackable self-contained, light controlled three oscillator noise synthesizer based around the Hex Schmitt Trigger chip in this two hour workshop. Open to all skill levels though some soldering experience would be helpful. This workshop has limited seats - please register through this form if you’d like to participate. We can only take the first 15 who register. 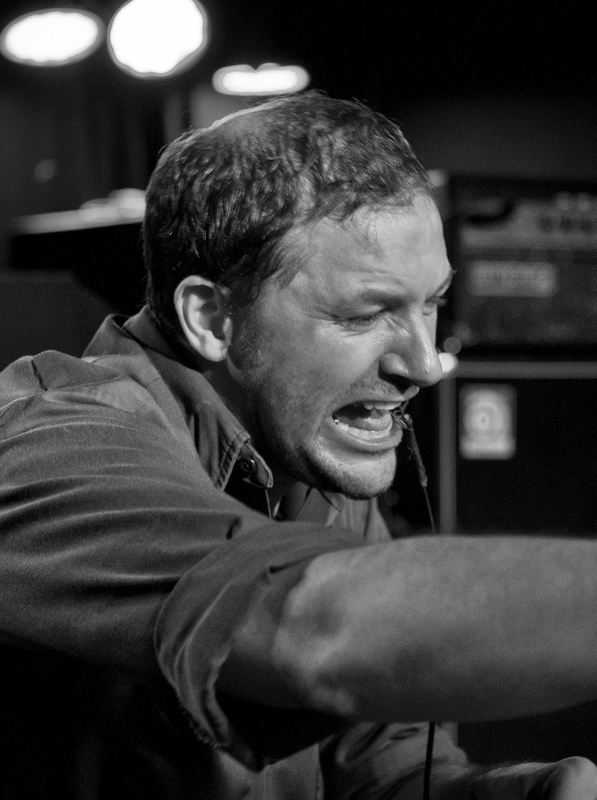 Aaron Dilloway is one of the most creative, prolific, and revered figures in the Midwest American experimental/noise scene. His performances and recordings incorporate rhythmic loops from eight-track tapes, vocal improvisations, found sounds, and field recordings. He uses contact microphones in order to generate harsh, feedback-laced noises, sometimes placing microphones inside his mouth in order to create bizarre, ogre-like distorted voices. While he channels some dark, violent energies into his sonic constructions, there's also a crucial element of playful, absurdist humor to his work, making his performances confusing yet highly enjoyable spectacles of Dadaist performance art. While Dilloway is perhaps best known for his involvement with Michigan noise group Wolf Eyes, he's had an extensive solo career, issuing hundreds of recordings (usually limited cassettes) under his own name as well as Spine Scavenger. In addition, he's also collaborated and issued split releases with other well-known noise and experimental artists such as Kevin Drumm, Prurient, John Wiese, and many others. Dilloway is also the owner of Hanson Records, a long-running experimental music label as well as a brick-and-mortar record store and mail-order service based in Oberlin, Ohio. The University’s bus system (UTS) is free for everyone. View real-time service map. The city’s bus system (CAT) is $0.75/ride or $1.50 for a day pass, and the CAT also has a free trolley. View real-time service map. Parking on-campus is limited. Here’s the University’s visitor parking information page. Most metered parking spaces are $2.50/hour until 5pm, and are paid through the Parkmobile app. The National Student Electronic Music Event (N_SEME) was created by and for students as a forum for peers to share ideas, collaborate, and expand the boundaries of the electronic music field. This year features Aaron Dilloway, a celebrated experimental/noise artist, whose music includes eight-track tape loops, vocal improvisation through contact microphones, found sounds, and field recordings. In addition to a concert and talk by Aaron, the festival includes concerts, papers, sound art installations, a DIY audio workshop, and a radio broadcast. N_SEME @ UVA is an inclusive artistic and academic environment, incorporating electroacoustic composition with or without instruments, DIY approaches to music-making, experimenting with instrument design, and participating in many forms of intermedia collaboration. If you have general questions about N_SEME or aren’t sure who to contact, email rlb9fd [at] virginia [dot] edu. Site design by Becky Brown; N_SEME 2019 logo by Heather Mease.